Good morning DevCraft readers! In this issue we’ve got Git advice, the dark side of remote working + jobs, how to sell to developers and last but not least, info on the BSD+Patents license. Let’s start with a pretty controversial topic for us developers: git commits. Just when is the right time to commit? And how much work should each commit contain? 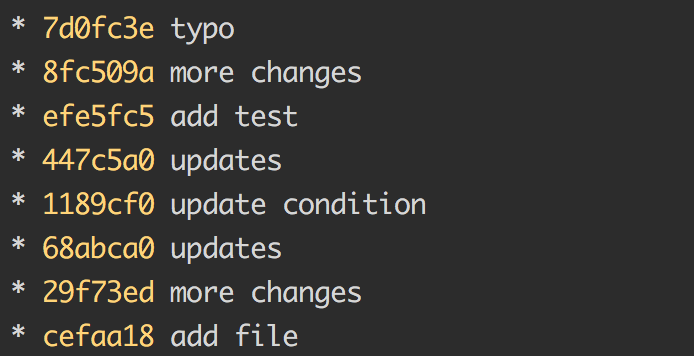 This article on dev.to provides guidelines on how to organize commit messages around units of work and isolating single changes, to make reverting commits easier. We all know that remote work has its benefits, such as flexible time, location independence and self-management, but nobody talks about the dark side of it. Several studies have shown that remote workers tend to exercise less, snack more, and have issues maintaining a healthy work/life balance. Pascal nailed it (400 years ago): “All of humanity’s problems stem from man’s inability to sit quietly in a room alone.”. In an article from Mark Nichols, he illustrates common pitfalls and errors that occur when working remotely and how to solve them. Ever wanted to sell a product as an indie developer? This article from Povilas Korop on Indie Hackers details some of the lessons he learned selling to developers. It turns out that common marketing techniques don’t always apply to developers. We’re a unique group who often don’t trust each others code, have learned to ignore adverts, and who actually enjoy the challenges of building the tools we need to solve our problems. All is not lost though, as there are some approaches that work very well for this audience. Screencasts and videos, content marketing that solves developer problems and an active participation in open source and developer communities are all honest and appreciated methods to help build trust for your team and your products. Can a framework really be called open source if it’s usage forbids you from suing a company? The BSD+Patents license essentially means that you’re permitted to use the projects source code, so as long as you don’t sue the company which created it. Should you try to sue its author, your license is automatically invalidated and you may be also counter sued for inappropriate use of third-party code. Allow us to illustrate with a concrete example: Do you use React in your website? If the answer is yes, you should probably avoid any problems with Facebook. Atomic Design is to designers what a component library (or UI framework) is to front-end engineers: a bunch of pre-built pieces that you can mix and match to create bigger parts, perhaps screens in a mobile app or web pages. From my own experience, designers and developers don’t always work in alignment together. Sometimes, there’s been a middle man getting in the way and at other times, we’ve not even been working for the same company. This lack of communication between teams can often lead to situations where the designer has split the design down into components, which might not be easily translatable from a developer point of view. Victor Guerra has written a great post where he analyzes the advantages of a well-structured component set. Our remote jobs section has recently become the most read part of our newsletter! Remember, if you work in a remote friendly company and you are looking for engineers, send us the link to your site and we’ll be happy to share it with our community. This week we’ve found that Doist (yep, the folks from Todoist and Twist) have opened positions for back-end and front-end engineers. Meetings for Software Engineers. Is This Actually a Joke?